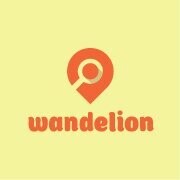 Wandelion is a web-based travel platform that will provide intermediated services to the participants of the tourism market – customers, tour operators, tour agencies, tour advisers, and tour leaders. The project aims at operation of a platform where users can collaborate in creating and/or customizing tour packages, buying and marketing them globally on an e-commerce platform. In the first stage of the project implementation the platform will serve the tours in Armenia and combined tours in the region solving the problems of online booking, tour customization and payment system. In the subsequent stages the platform will gradually expand its coverage and strive for becoming a global online hub for world tourism market. Design-a-tour: Every customer will get the opportunity to design tour that will fit one’s specific needs using tour designer tools on the website. An interactive journey logic will assist customer to become author of a tour package. Wandelion will later contract tour operator to implement the created and realized packages. Direct contact between outgoing tourism agencies and tour operators: The platform will serve as a daily cooperation platform between tour agencies (Outgoing tourism) and tour operators. The platform will provide special access and tools to tour agencies to receive benefits from ordering tours from the platform. Tour leader role: Many tourists contacted tour operators with request of customized tours and receiving special discounts for leading a group. Wandelion will empower tour leaders providing all necessary tools to design, customize, publish and market their tours. Along with the tools, platform provides special discounts and benefits for tour leaders as well as customers connecting to the tour with their reference.